The loss of a bus service has huge implications. It can cut people off from jobs and education, damage local shops and businesses, affect people's physical health and mental wellbeing and increase congestion, air pollution and climate change as more cars jam up our roads. 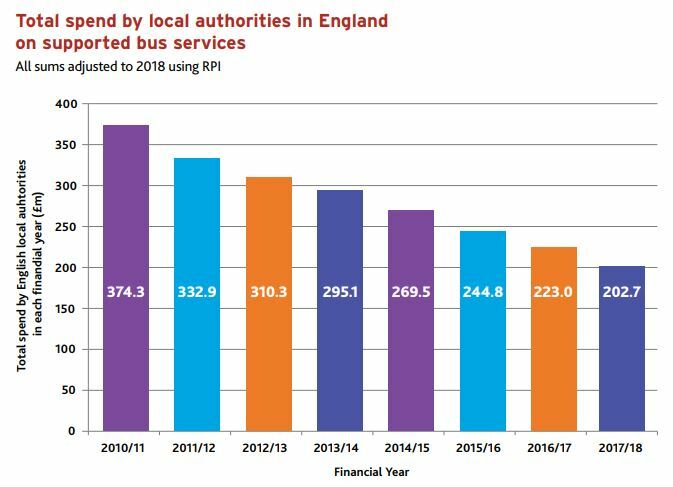 In 2018 we made Freedom of Information requests to all 110 local transport authorities across England and Wales to get a full picture of recent bus cuts. The findings are deeply concerning. 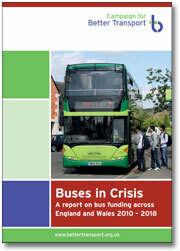 Funding for supported buses has been halved in the last eight years, leaving many places without public transport. 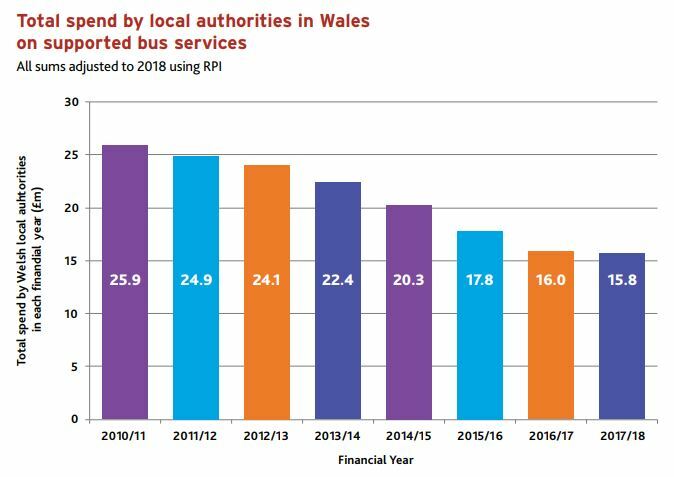 Local authority bus budgets in England and Wales were cut by £20.5 million in just the last year - the eighth year in a row budgets have been cut. "Bus services have been reduced in the village where I live in Lancashire. I'm a guide dog owner so I can get out and about by bus, but the cuts are making me less independent. I now need to ask my parents to pick me up and take me to my doctor's or to their house. Many elderly people and schoolkids are suffering too. We just need our buses back." "We now only have one bus into Kendal at 9:30am and one bus back at 2pm. A regular bus service would really help me and other residents to visit the bank in Kendal and do other shopping." This decline is not inevitable. Some local authorities have not made cuts, and have adopted creative ways to manage bus services. But action from central Government is needed too. For instance, buses are the only form of transport in England not to have a long term investment strategy. Such a strategy would help bring together funding, set a long term policy framework and link buses into other Government policies. The tables below show the decline in supported buses. To find out more about our campaign to Save Our Buses, please sign up to the campaign newsletter, follow Campaign for Better Transport on Twitter or like us on Facebook.